This post is a first for us here at Labelscar. The mall featured here is one which neither I nor my blogging partner Caldor have ever visited. Instead, this mall was alerted to us by a reader named Shane from Rock Hill. We have to give him more credit than that, though, because he ended up going to the mall and taking pictures for us. 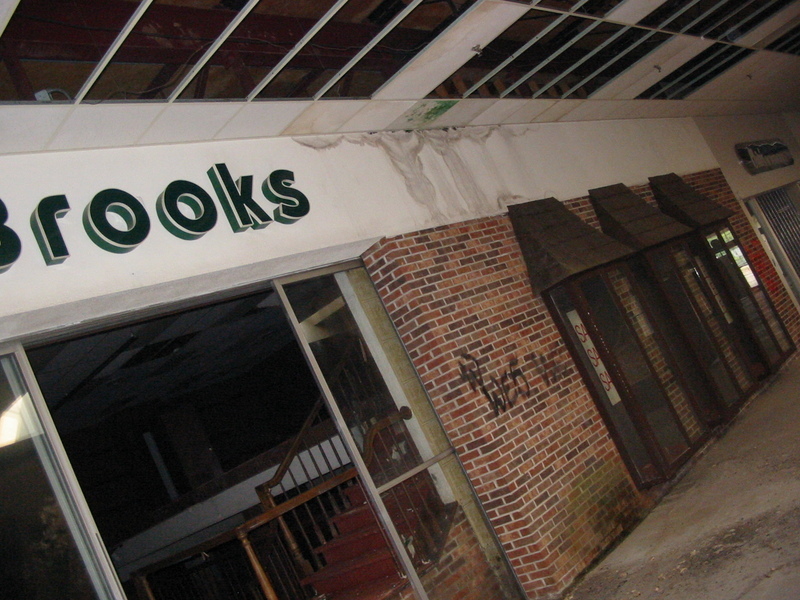 What’s more, the mall has been unsuccessful for 15 years so he had to walk inside through some shattered doors and rubble to get some photos for our site. We think that’s pretty cool. First, a bit about the city of Rock Hill, then more about the mall itself. Rock Hill, South Carolina is located just south of Charlotte, North Carolina and is part of its metropolitan area. Rock Hill has a population of approximately 60,000, is mostly middle class, and home to a top ten regional public university in the south called Winthrop University which currently enrolls about 6,000 students. 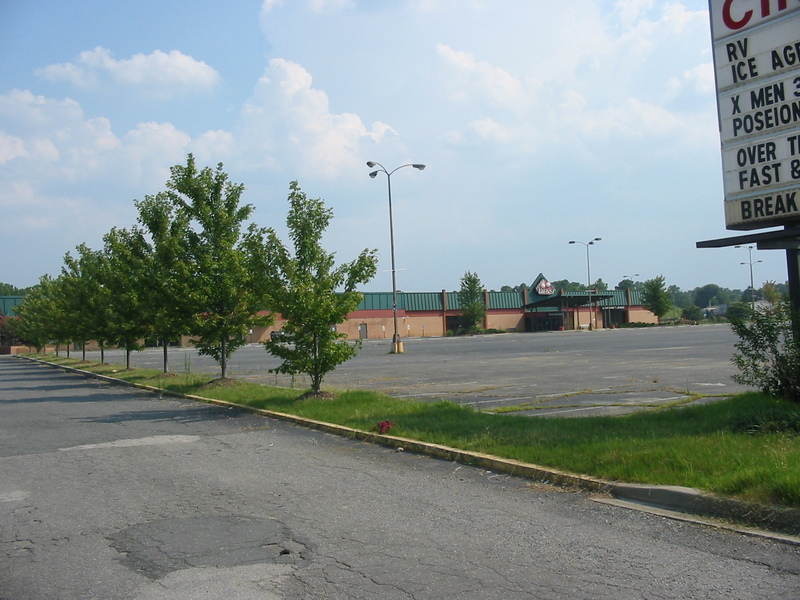 During the 1960s, Cherry Road became the prime commercial retail corridor in Rock Hill. Rock Hill Mall became the centerpiece of this corridor, also opening during the 1960s with anchor stores Belk, Sears, and JCPenney. Rock Hill Mall enjoyed a long period of success into the 1990s, when a new mall came to Rock Hill and stole its thunder. Rock Hill Galleria opened in 1991 just east of I-77 along Dave Lyle Blvd/SC 122, and it took all three of Rock Hill Mall’s anchors with it. Whoops. The opening of Rock Hill Galleria effectively killed Rock Hill Mall according to a November 1996 article in the Charlotte Business Journal. 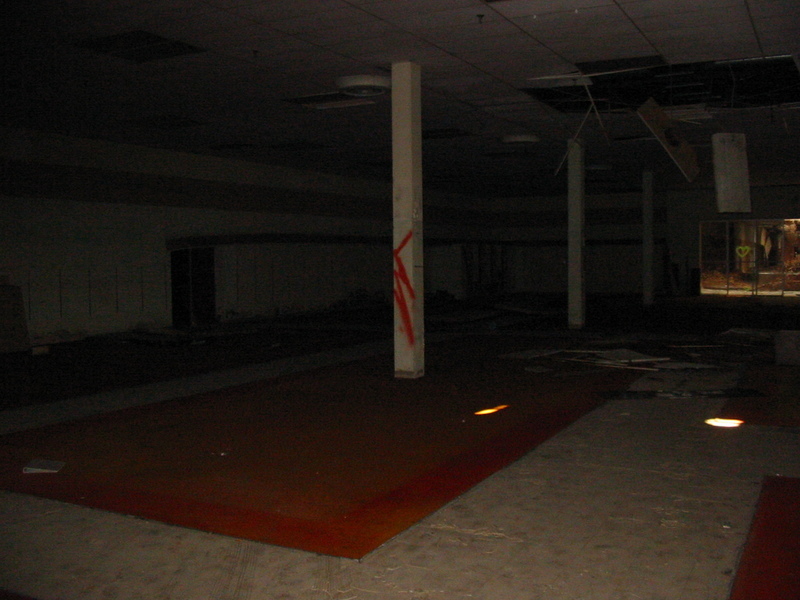 The mall was almost completely vacant by 1992, and by 1996 the only business operating was a flea market occupying the old Sears space. 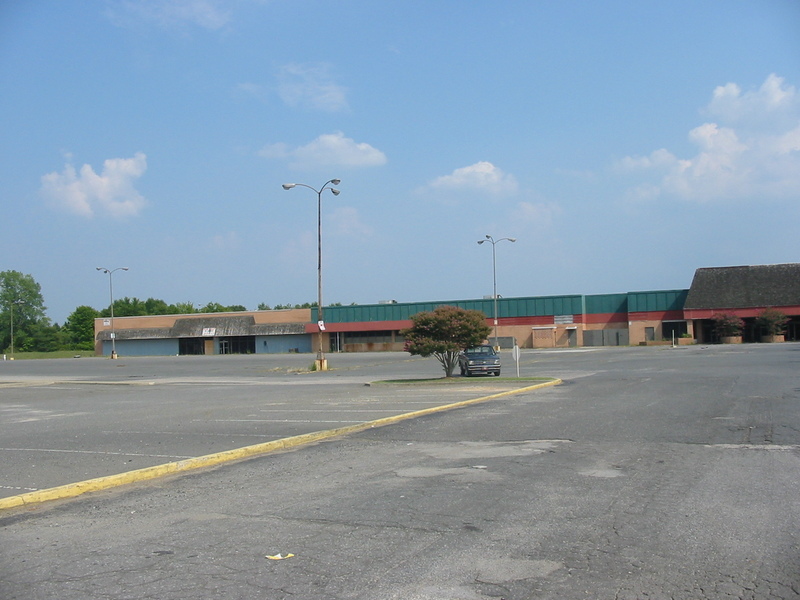 The article also mentioned a possible redevelopment of Rock Hill Mall by Charlotte-based Faison Associates, which also named Hannaford grocery store, Home Depot, Target, and other smaller stores as possible tenants for a big box conversion of the mall in 1995 or 1996. That redevelopment never happened. 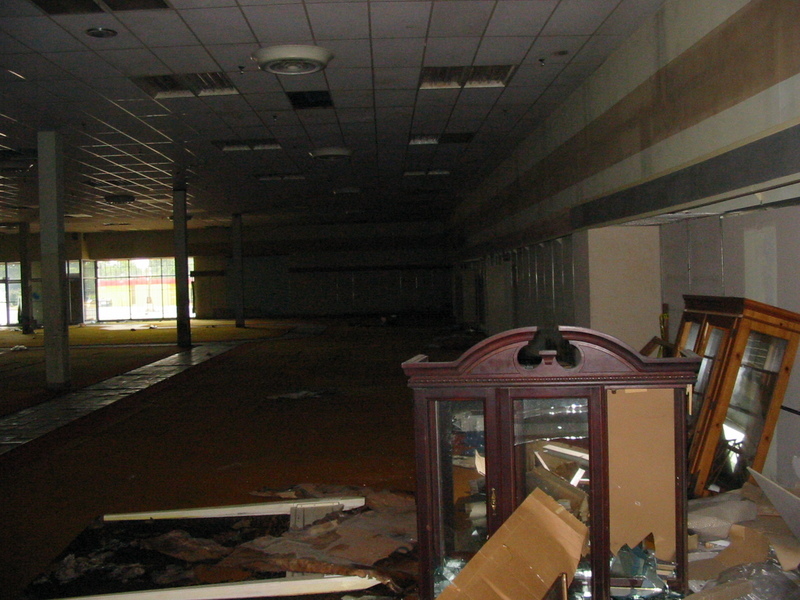 In 1997, the mall was purchased by the Red Lake Catawba Native American tribe which began operating a high-stakes bingo inside the former Sears store. In 2002, South Carolina began a state lottery and business at the bingo dwindled. 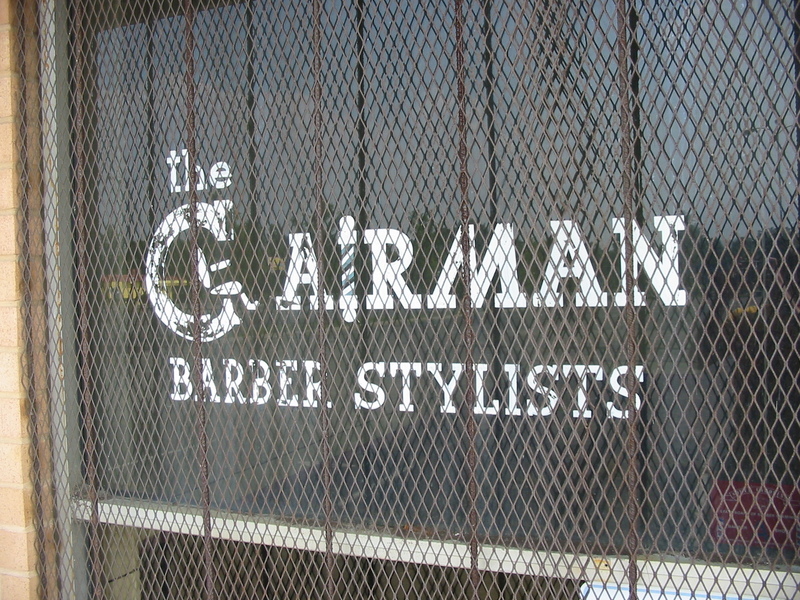 As of early 2006 it was only open once a week. Despite the Rock Hill Mall’s abrupt end as a retail center and failed talks to redevelop it as such, other possibilities presented themselves for the mall’s use. 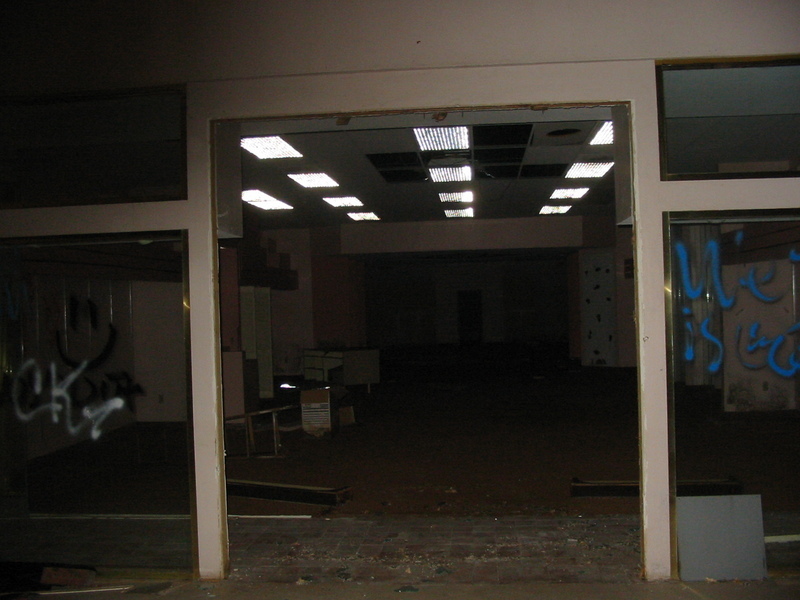 In 2002, the Catawba Tribe leased a considerable amount of mall space to RMC Ministries, which operated a teen center in the former mall. 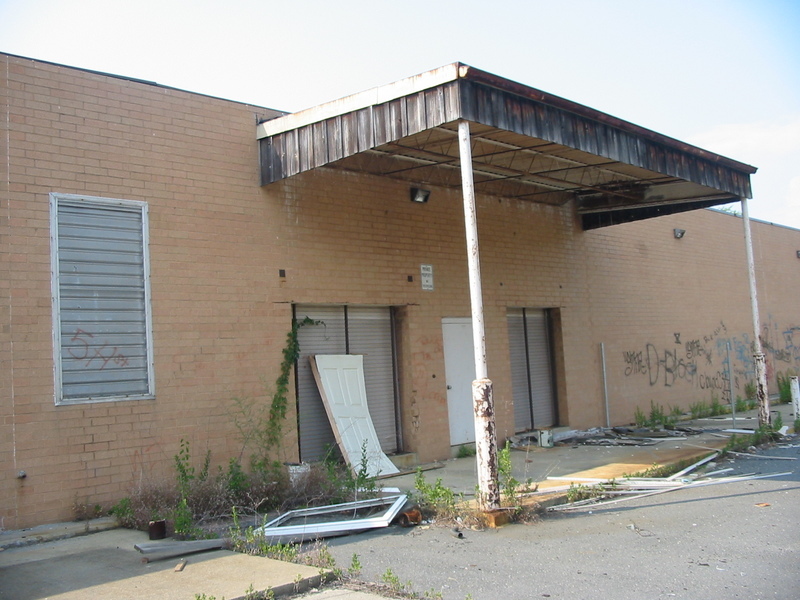 However, in Spring 2006 the Catawba Tribe told RMC Ministries they had to vacate the mall, and there was speculation the mall had been sold. 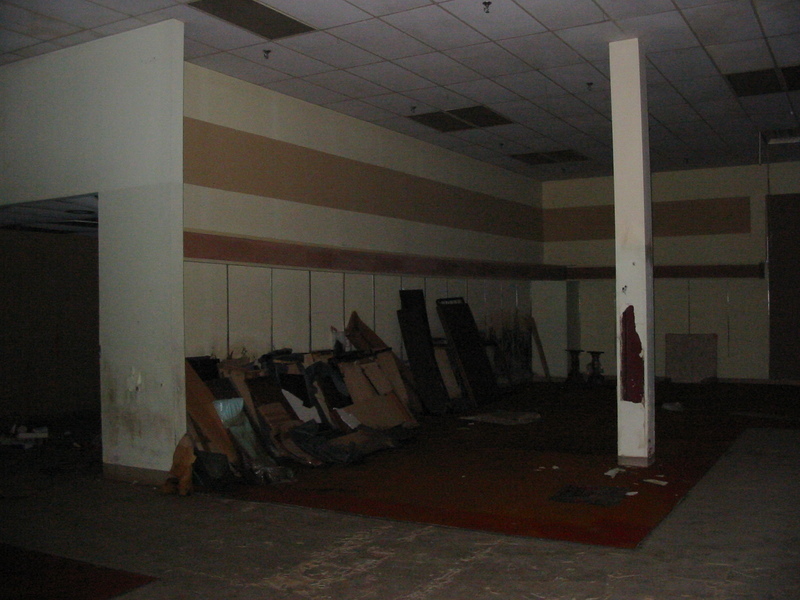 Today, the Rock Hill Mall is an unsalvagable ruin, except for a Carmike Cinema 7 which still operates in the outlot. 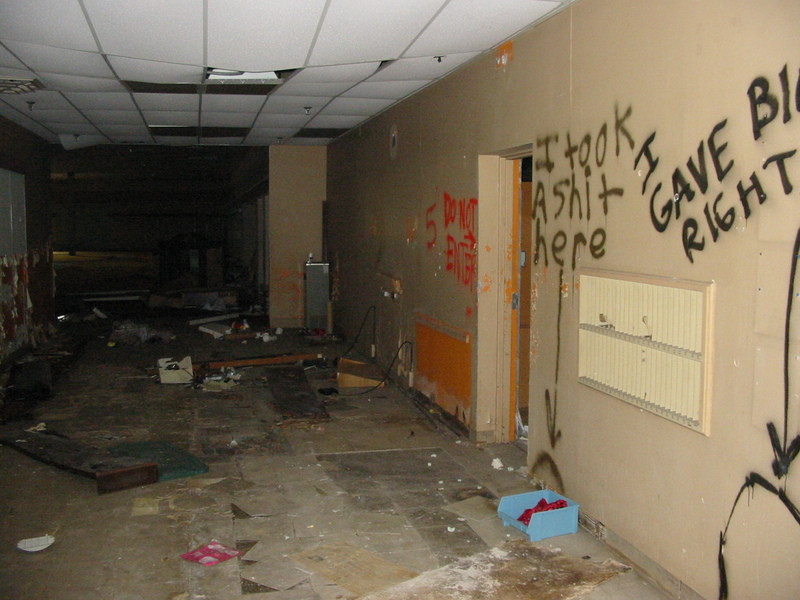 The roof is leaking, doors are smashed open, and there has been rampant vandalism and graffiti throughout the former center. It is also apparently about to be demolished. Take a look at the pictures taken by our contributor Shane. Also, mouseover each picture for comments explaining each picture in Shane’s own words, and feel free to make comments yourself. Holy cow! Looks like a bomb ripped through there. What awesome pictures. 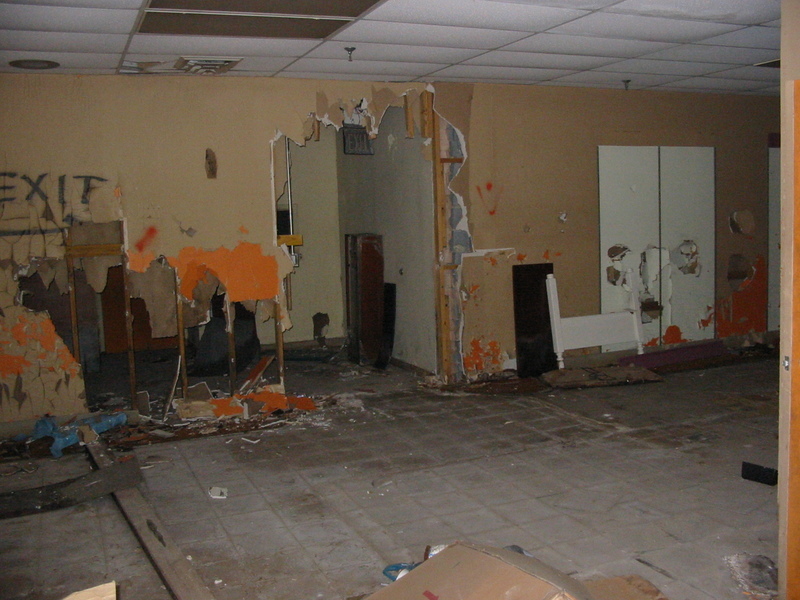 I almost can’t believe the real estate alone isn’t woth the price of tearing it down. 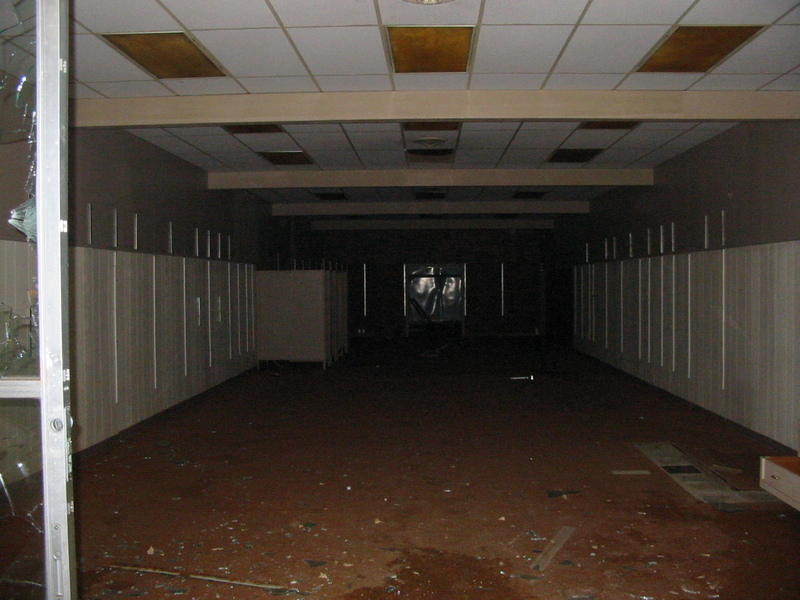 I’ve never been to this mall either, but it’s a great dead mall photoset. I used “labelscar” in casual conversation today. The store with the slanted wood facade was definitely Foot Locker, I don’t know how I missed that one. There’s also a store with a plain black sign (image #1374) that’s Radio Shack. The labelscar was much more clear in person. That’s a copier inside the store to the right (original merchandise?) and I don’t know if you can make it out, but at the bottom left of the picture, what would in real life amout to a few feet from what looks like (and, well, is) a Kodak camera, is an original paper advertisement…I should have taken a picture of that. To the poster above about the store with the “red trim”…I can see how you could make out “One Price” but it actually says “Maurice’s.” I’m pretty sure that was a clothing store, though. Notice in the photo of Brooks that there are stairs inside the store…not sure what the deal with that was. Also 15 year-old “Sale” signs still hanging. 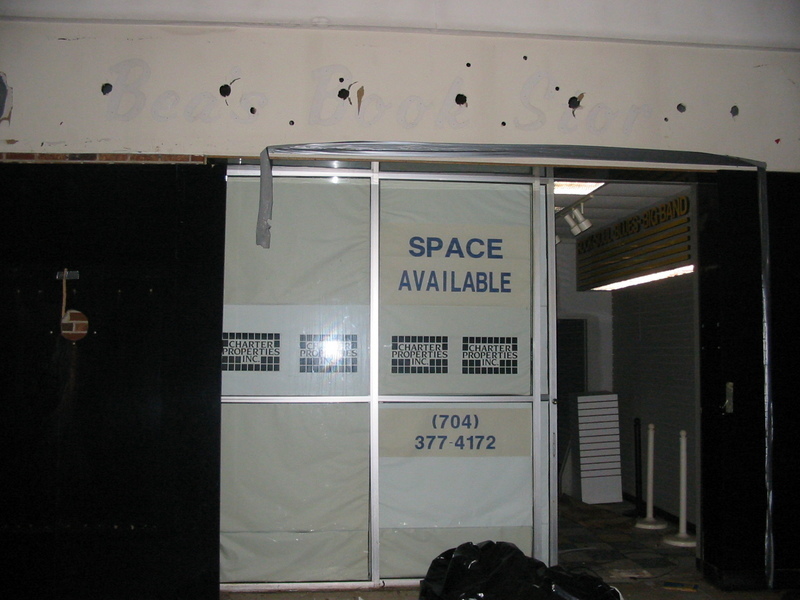 I think I know what the deal is with the “old record shop” with the labelscar of “Bea’s Book Store.” The Rock Hill Galleria opened in 1991, the Rock Hill Mall closed in 1993. 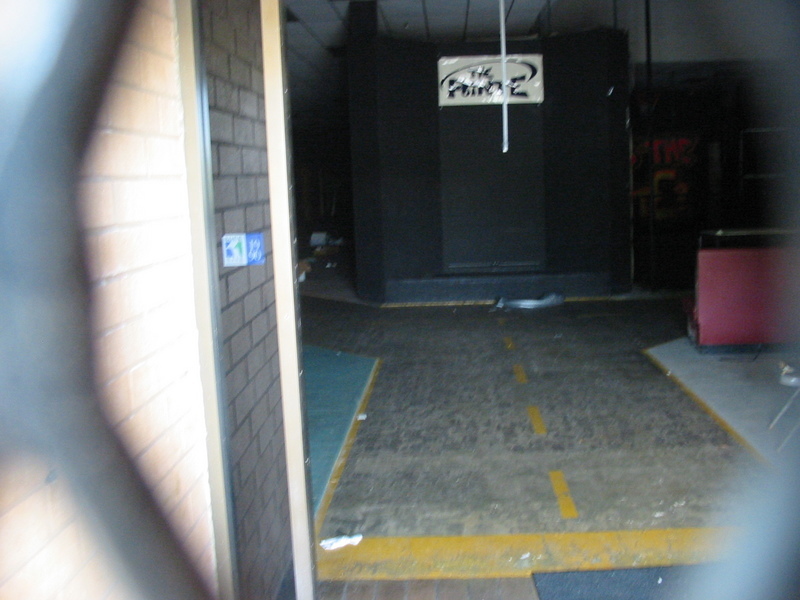 I’m pretty sure that The Record Cellar, a music store that carried over into the Galleria and is still in business, moved out pronto and left their fixtures in the old mall, the space which was eventually occupied for a short time by Bea’s Book Store. 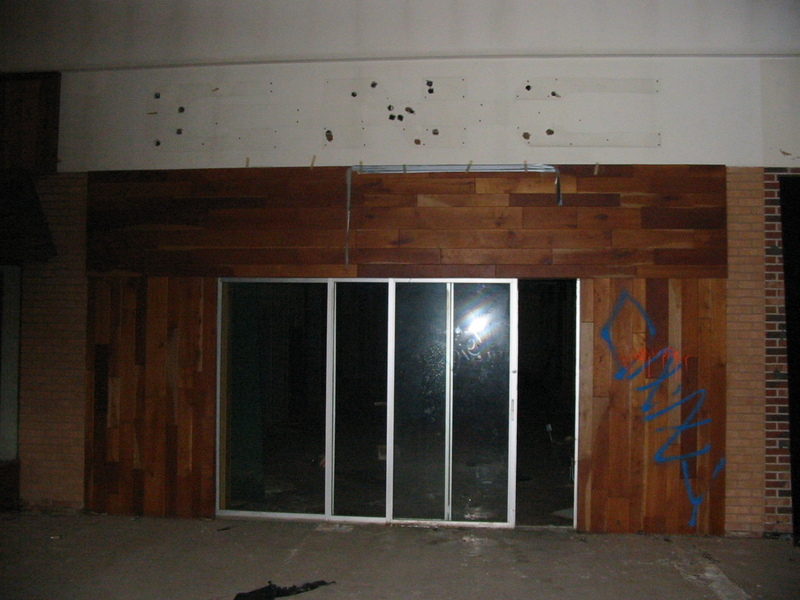 To compliment what Prangeway posted, I’ll give a slightly more in-depth timeline of how this mall met its demise. 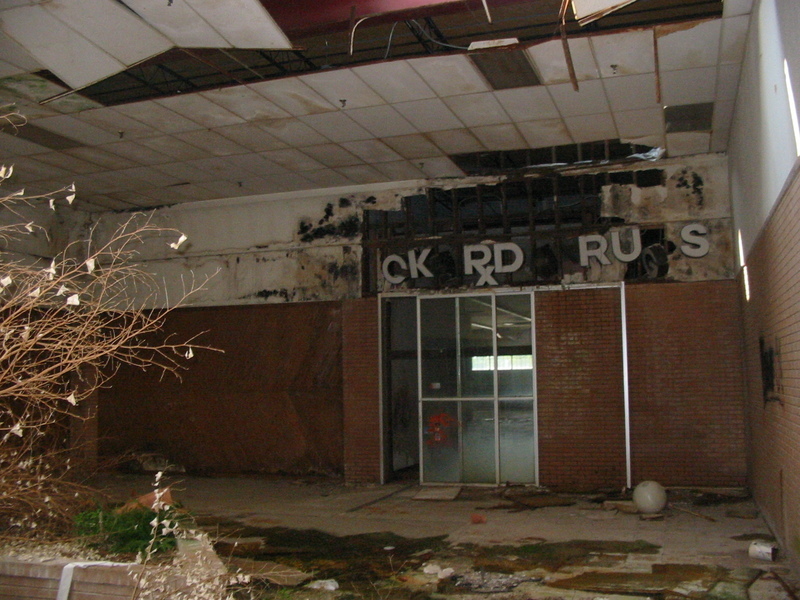 The Rock Hill Mall served what was then a town of 20-30,000 perfectly, and had an 100 percent occupancy rate as recently as 1990, less than a year before the Galleria opened. When the Galleria did open, it took the three anchors (Belk, JCPenney, and Sears) with it immediately. Gradually, most of the stores inside moved with it. What I found interesting as that GNC and Radio Shack operated stores in both the Mall and Galleria for a while…I don’t know how they made it, because I never see anybody at the GNC in the Galleria even today? 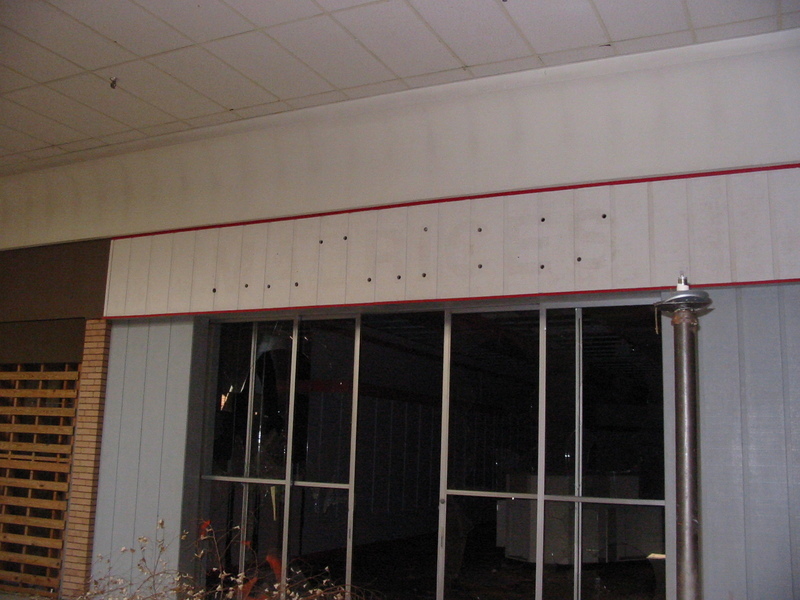 Anyway, by early 1993, the mall had only two tenants inside: Julie’s (a women’s clothing store) and Radio Shack. Julie’s had planned to move to the Galleria, Radio Shack already had store there, and on February 28, 1993, the Rock Hill Mall officially closed. 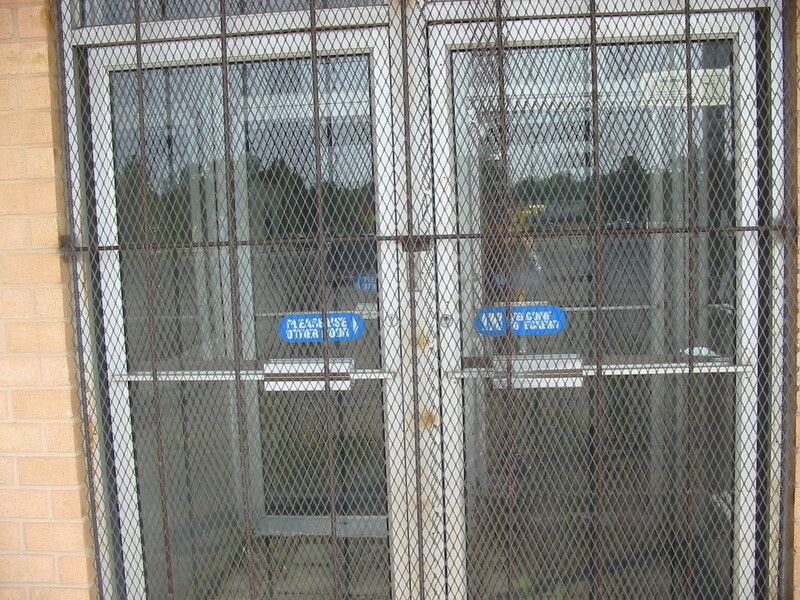 A few of the tenants with outdoor entrances (Eckerd, Faith Shoe Repair and a barber shop) hung on until about 1994, and except for the indoor flea market inside the old Sears that operated from about 1994 to 1996, the now-closed Catawba Bingo is the only business the Rock Hill Mall’s had for ten years. A lot of the comments are cut off. Some have ellipses… whereas at least some just have one or two words. For instance, one pic just says “The” when I mouse overi t.
Wow those pics are amazing. Fascinating really, especially when you think that maybe one of the live malls near where you live might end up like that someday. That must have been pretty creepy wandering around there. I think images 1376 and 1370 are the most poignant of all; especially 1376. How a place that at least one person loved could wind up like this is kind of sad to me. 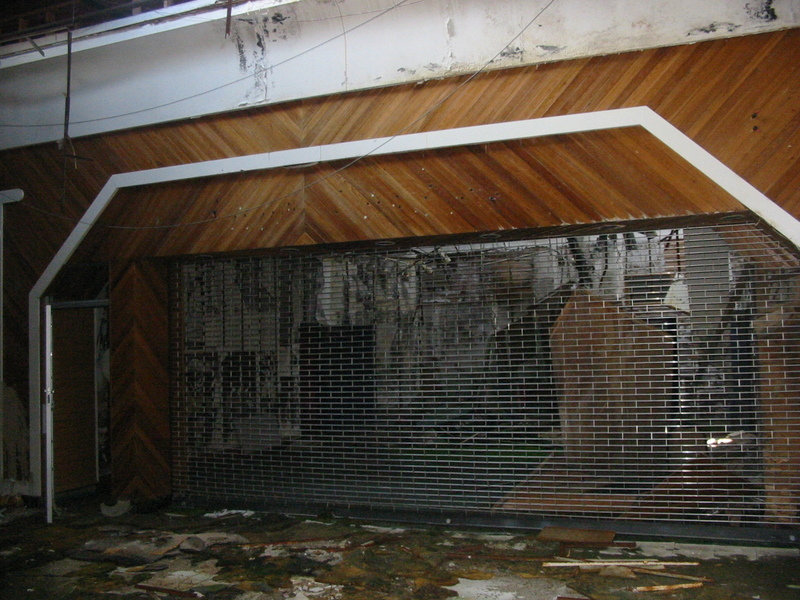 Shoulda tried to recover some relics from the mall… Damn vandals destroying everything. Well, there won’t be any more relics recovered from this one – it’s coming down. Demolition started about two weeks ago, and they’re not playin’ around. It’s almost gone. I can’t blame them, because it really is an eyesore, but I hate to see it go. I really wished I could have gotten one last walkthrough with a friend who was interested, but we never had the time. Exploring more of the ins and outs of the place would have undoubtedly led to some more good shots. There are so many things I wish I would have grabbed or taken a look at (the binder in pic 1367, the original Radio Shack advertisement, one of the Brooks’ signs advertising a 15-year sale) but unfortunately didn’t…and now they’re gone forever. 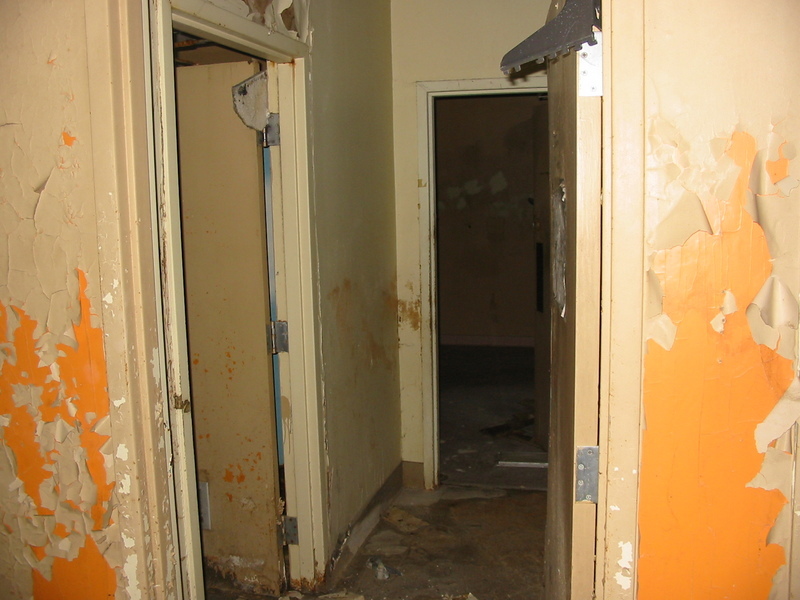 I’d like to think (and I’m pretty sure that) my pics are the last to ever be taken showing the inside…unless the demolition crew took some for whatever reason. 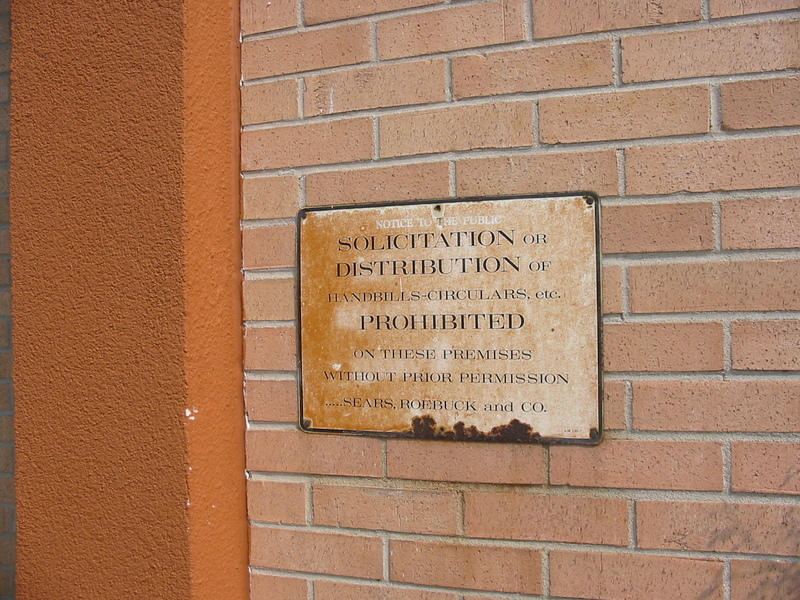 They haven’t quite gotten to the Sears end yet, maybe I can snag one of the Sears & Roebuck “Solicitation” signs. It’s probably one of the only distinguishing factors left. That’s sad it’s being torn down! 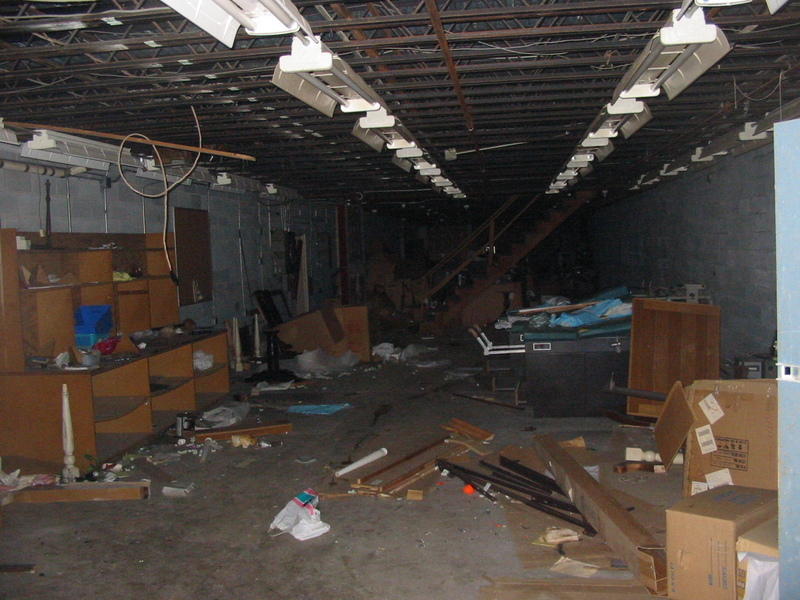 Not to mention that if it wasn’t for the fact that another restraining order that temporarily halted the demolition of Dixie Square Mall(where a good portion of it already had been torn down), it would’ve likely been completely torn down by now. 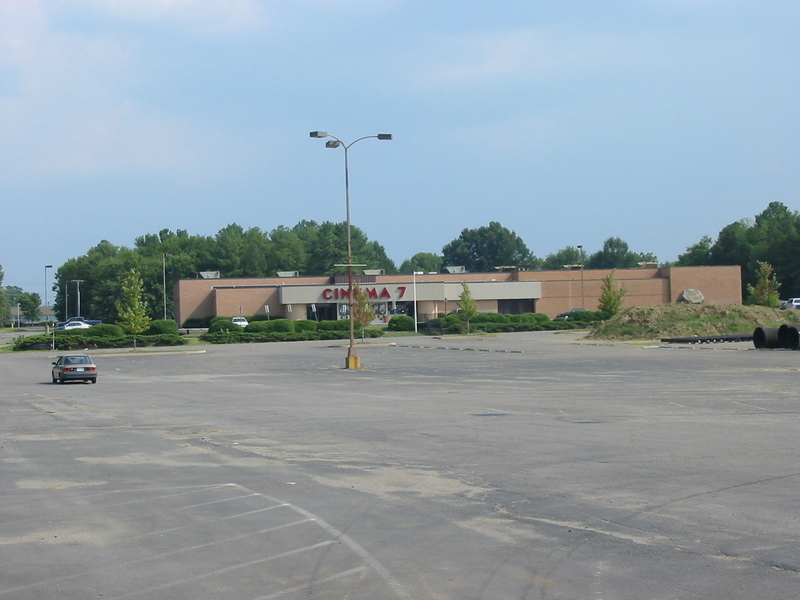 And I believe River Roads Mall(in Jennings(St. Louis), MO, and another abandoned dead mall) has been completely gone for at least several months or a year ago now, which is really sad. These pictures made me really sad! I spent entire summer days in that mall with my friends as a teen. Once again, it’s not “coming down”…it’s GONE. 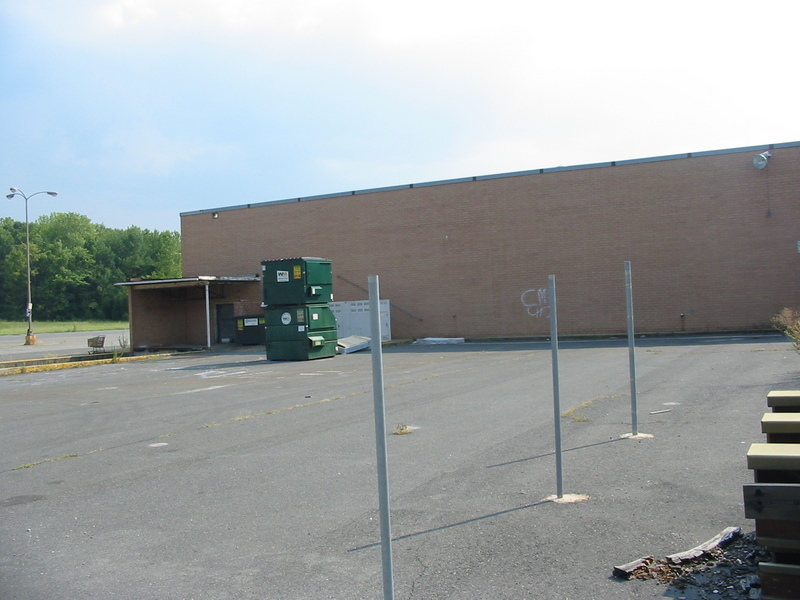 I happened to drive by yesterday to find a pile of rubble, the rear right corner and loading dock of the old Sears, and interestingly, the Catawba Bingo sign (best seen in pic 1348) with nothing but two columns holding it up…somewhat like a goalpost. 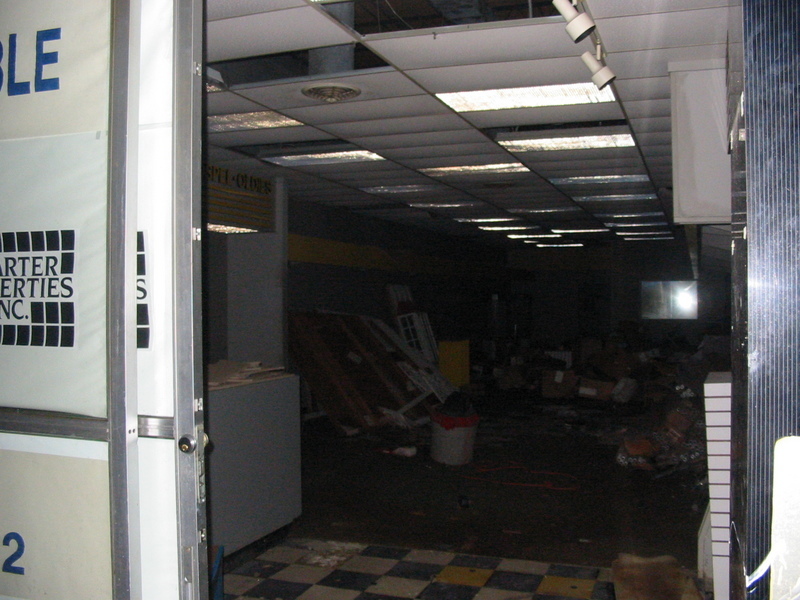 I really wanted to grab that Sears sign before it was gone and spent a good 45 minutes in the dark looking through the rubble trying to find something identifiable…only thing I found was a door with an old GNC logo on it? A serifed Gnc on a green or blue square? Tried to peel the sticker off but it just chipped…if anybody knows when they switched to the new logo, that would be cool. Ended up not finding anything distinguishing…and took a brick. Melanie…is there anything in particular that you remember about it? I only remember Sears, JCPenney, Belk, Eckerd, Radio Shack, and Julie’s. 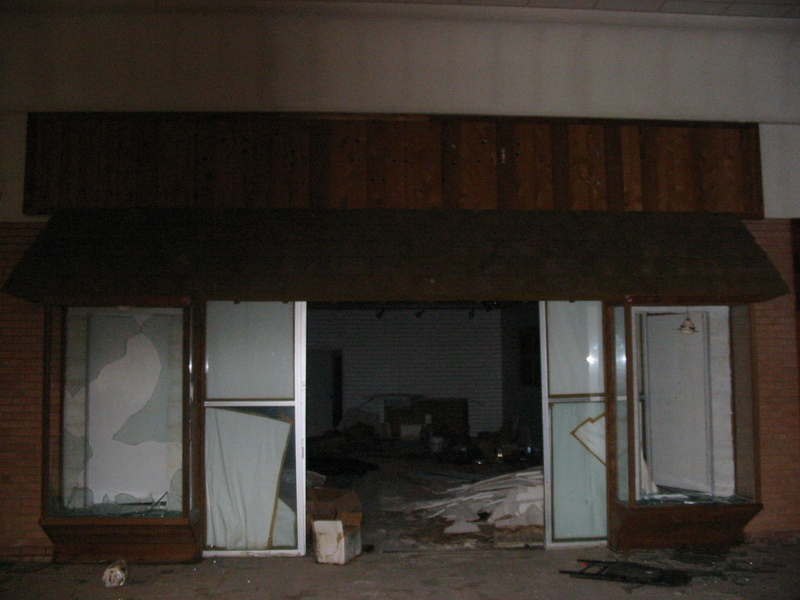 Can you identify any of the missing storefront pics that I took? Well guys, for those who haven’t heard anything yet the mall IS gone as was already stated. THe property is now being redeveloped to include a new “super” BiLo to replace the one already on Cherry Rd. and as of yet no indication on what else will be there except for a new shopping center. ANd of course the movie theater becasue wtih prices for everything as high as they are who wouldn’t want to see a movie for $1.50??? There was also a Baskin Robbins and a Shoneys there at one time. 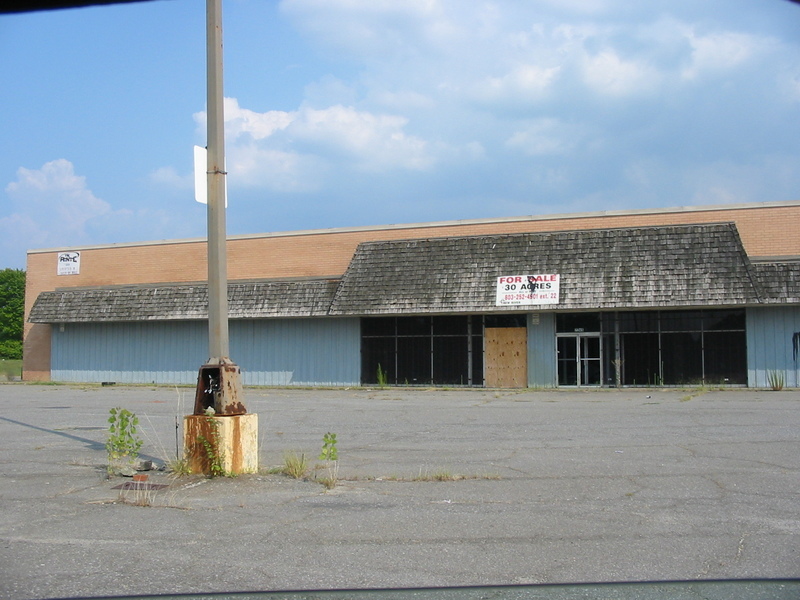 That was the highlight of my youth–going to the Rock Hill Mall, shopping all day on Saturday, eating lunch at Shoney’s and getting ice cream at Baskin Robbins. At one time this mall had what was the “original inside play area,” only it was a cement thing that you climbed on and went through. . There were many other stores that came in and out of the mall, too. There was one just outside of the Sears store that changed alot. It was usually a women’s clothing store. The new Bi-Lo is being built quickly!! So sad to see the mall go!! The mall is now gone and a nice new Bi-lo Superstore (Super Sized Grocery Store) sits on the property. This left 2 old Bi-lo grocery stores vacant in the area and im sure will cause the stores that were in the strip malls with them to soon close also. So now we will have 2 new Labelscar. I think the zoning in our county should look at making the zoning stricker so that tax incentives would make these properties more desirable to business’s. The most unusual thing I have seen is at the Galleria Mall in Rock Hill they had a 8 screen theater that was around 10 years old.on its own private lot next to the thriving mall we have. 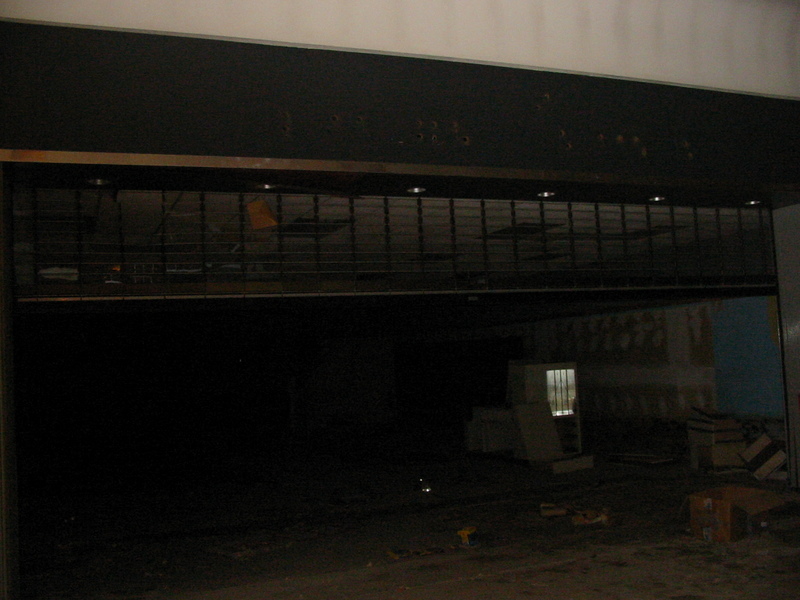 They tore down the theater. Went across the Highway next to the restaurant corridor and built a new 14 screen movie theater (that is never full or even 1/4 full). Reasoning behind the move was given that the old movie theater seating had become inadequate and were more likely to watch a movie if they could get to it easily after a meal. But Come Live here we have low taxes,Award Winning Schools, Jobs, A National Recognized Aquatic Center, A National Recognized Soccer Center (The Most Advanced in the Country for a City), And A National Recognized Baseball and Softball Complex (We Hold the NSA World Series Here! ) Did I mention its November 15th and its 77 Degrees. We have a massive Lake that runs between NC & SC, and We have large yards and our houses are inexpenses compared to other markets and were not in a recession. And we have the cheapest cigarettes in the Nation! And we make the best Grits, Bar B Que and Cole Slaw and Ice Tea. As far as old stores go, the first pic in row 6 is definitely a Foot Locker, and the 3rd pic in row 5 looks like a Maurices. By the way, I find the newer Rock Hill Galleria odd in that a.) it has a CJ Banks but not a Christopher & Banks, and b.) the mall’s mostly full, but the food court’s dead. Wow! These pictures are awesome. Creepy. 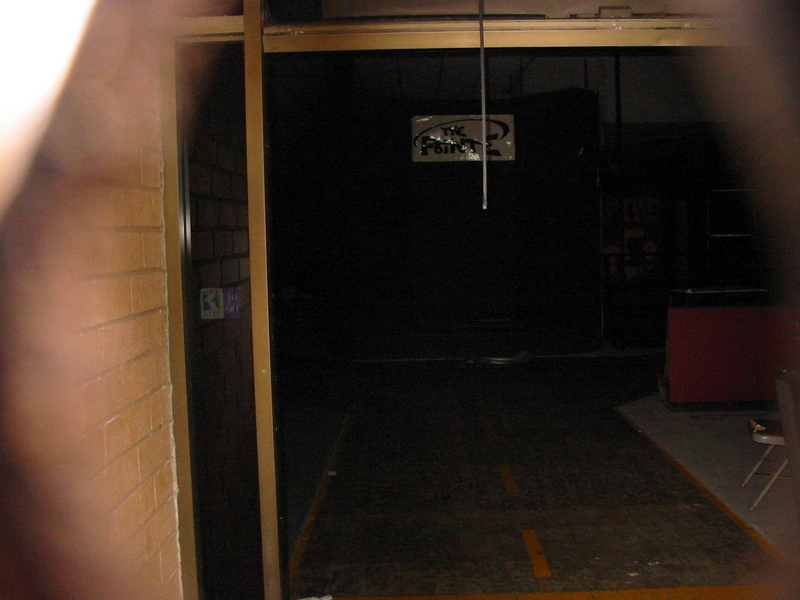 I lived in Rock Hill from 2003-2004, and remember this spooky place as a Catawba bingo hall. It occupies a tremendous amount of land! Rock Hill is a gorgeous & well-manicured suburban community. A wonder this thing still exists…. that sears sign is from the 70s. the same thing is on the front and the back (but not anymore, i took it 😀 😀 :D) of the old sears building at cloverleaf mall in richmond / chesterfield, VA. very cool to see another one of those signs. pretty rusty though. i got lucky with the one i took as its still in very good condition with no rust. crazy pics though. you have serious guts to go through that mall. i would have been too scared that the roof was going to fall on my head to go in there like that. How is the mall now? In October 2008 ( 7 months from now) suppost to be the 1st annual Christmas Show in October. Is this show is going to happen in this mall? Please keep me updated. We are planning to go to that show, but like that…we are not sure. Wow. Fantastic site. I’ve lived in Rock Hill for 39 years. This mall was where I spent way too much time in my youth. The Record Cellar took a lot of allowance money and then some of my budget when i got a job and was in College. Yeah, it was Winthrop College, not Winthrop University back then. The main entrance also had a “Shoney’s Big Boy.” It wasn’t just Shoney’s. Anyone remember the statue out front, the ‘big boy’ holding a plate with a burger on it? Yes, it is a super Bi-Lo now. It is a big lot, lots of other buildings and smaller businesses going in. 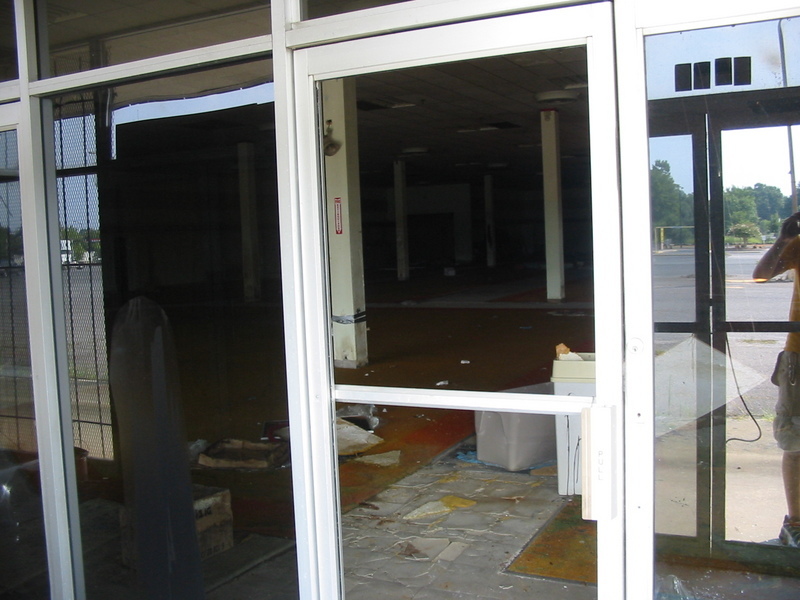 Goodbye Rock Hill Mall, hello progress… for better or worse. I believe there was a buster brown shoes and a Thom McKans shoes (sp?) in there. There use to be a bakery with an outside entrance at one time and the shoe repair place by the old barber shop all had outside entrances. The stairs in Brooks was the coolest because they had levels to look at clothes. It was the “modern” store. I remember buying Farrarri (sp) sunglasses there, they were the kind that folded up and my favorite stretchy gold thin belt that had a star as the clasp part! ha! remember those!! funny!!! In my opinion they did a crappy job on the galleria. It leaves much to be desired when Carolina Place is too close. Younkers! What a sad little mall! Glad it’s out of it’s misery…anyone has any idea of the layout or the store directory? Hopefully this is not a repeat. The mall’s occupants left to go to the new Galleria(yes that is a repeat). The land was then owned by the Catawba Indian Tribe who refused for years to sell the land or maintain it. They eventually agreed to sell the place. I’m sure you could find the news story online. 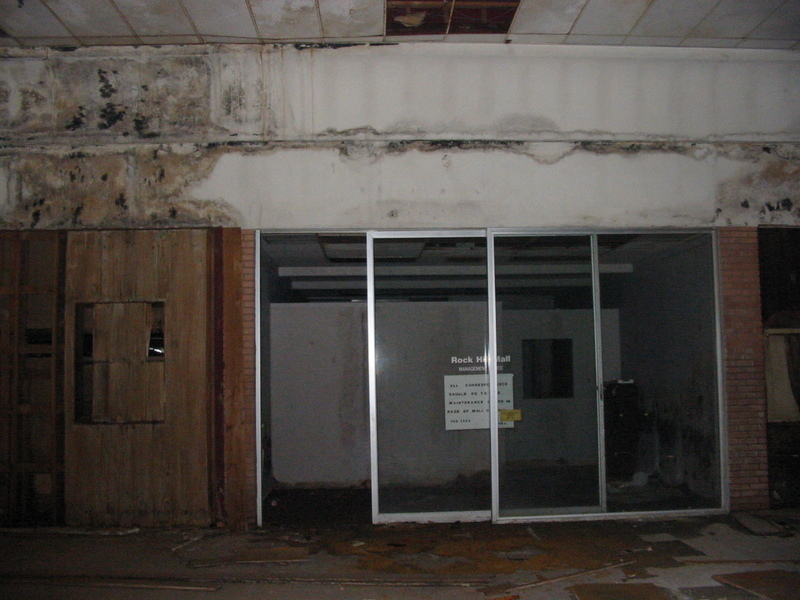 But the condition had nothing to do w/ the town who for years tried to do something about this place. But it’s gone and I too have great memories of this place. 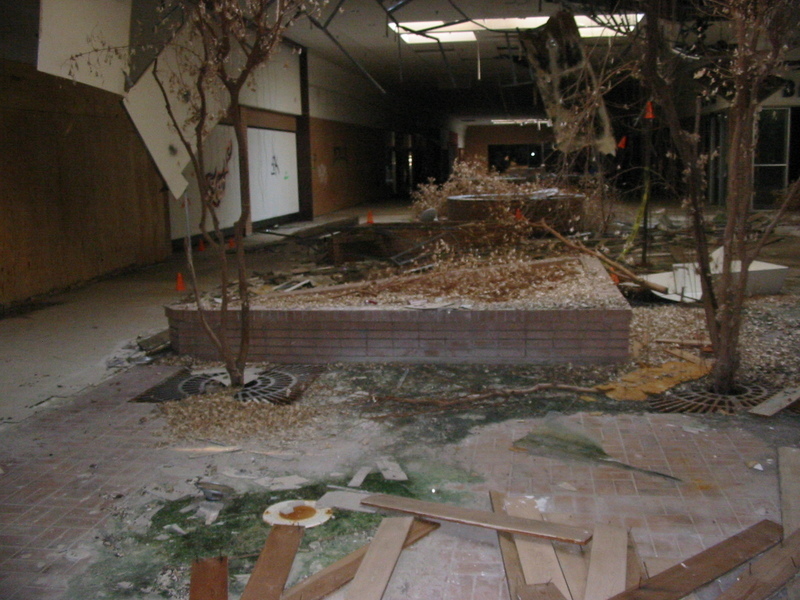 I remeber the Rock Hill mall very well. I went to it often and loved the arcade. I wish that I would have been able to go inside one last time before it was tore down. When the demoliation company come in to get their business license I almost ask them if I would be able to take one last look inside,but I didn’t and regret it. It’s great that someone was able to take pictures. 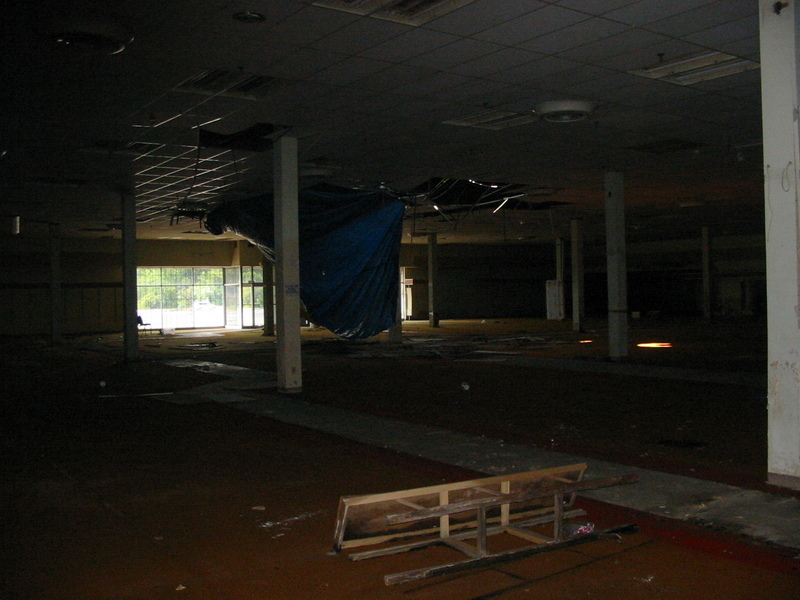 I remember the mall as a kid, I wish I could have walked inside one more time before it was torn down. 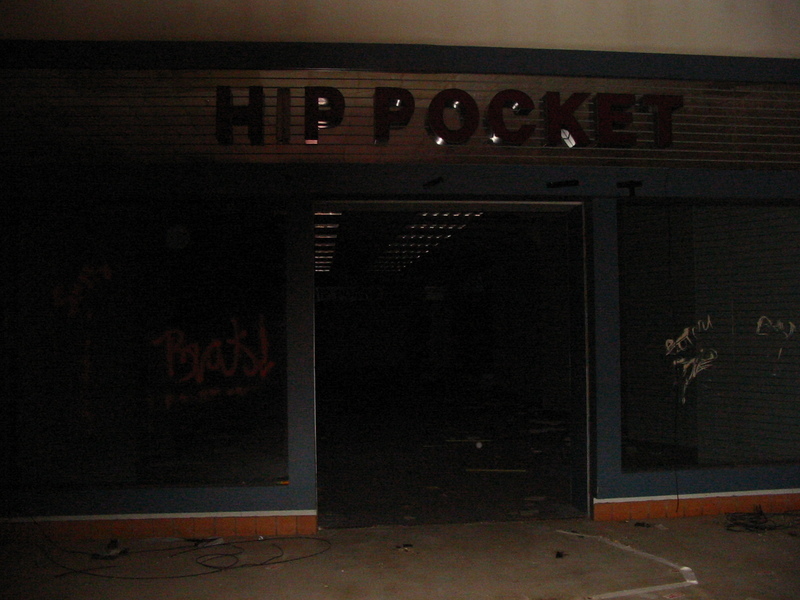 AH, I remember the Rock Hill Mall in those decrept pictures. I went to Winthrop between 1995-1999 then lived in the Rock til’ 2004. In 2008 I came to Homecoming and saw that huge Super Bi-Lo and thought “Where did the Rock Hill Mall/Bingo go? I was kinda sad. I miss Rock Hill. It’s was definetly my hometown more than my hometown( which where I live again:( ) I would move back in a heartbeat. I grew up in Rock Hill and shopped and worked at this mall–remember it pretty well. You are correct, the Record Cellar that’s now in the Galleria was in the RH Mall, in between Ormond’s (large clothing store just outside Penny’s and Hip Pocket). 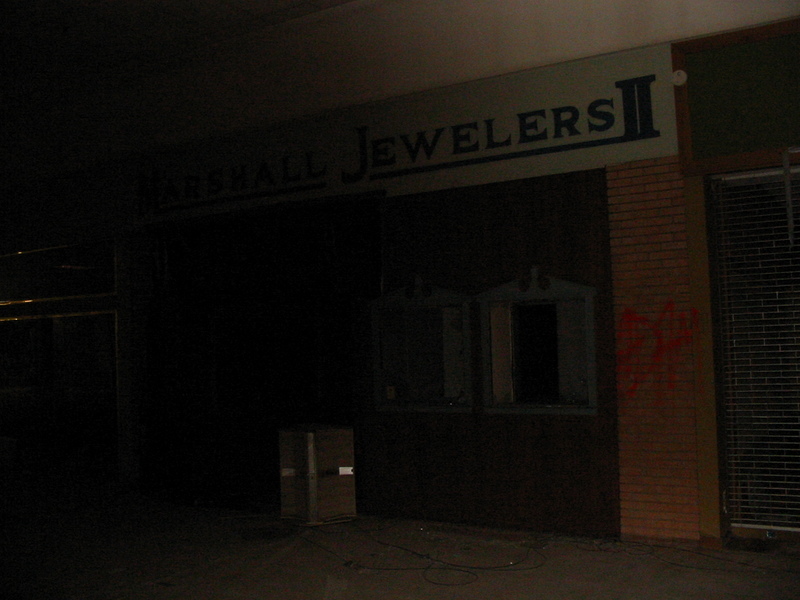 I worked at Hip Pocket and Marshall Jewelers in the late 80’s/early 90’s. As a teen, Marshall’s, Ormond’s, Brooks, and Maurice’s were THE places to buy clothes. The Brooks store was a tri-level store, hence the stairs (there should have been another set towards the back going to the “basement”. It was a pretty good use of floor space for the small corner they occupied. I do remember the Big Boy statue outside of Shoney’s (1970’s)! And the Baskin Robbins was on the front of the mall, next to the main entrance. Once, they had the cars from “The Dukes of Hazzard” displayed in the middle of the mall, outside of Belk’s. I have pics somewhere of me and my brother with the General Lee and the sheriff’s car. A shame this is what happened to the mall. It’s a shame it went down, because the Galleria is just not as good–the old RH mall was in a better location and was always full–no out-of-business empty spaces like the Galleria. Thanks for the walk down memory lane! Wish I could have checked it out before it was torn down. This is tragic. On the lighter side, I enjoyed looking at the nostalgia (whatever was left of it). Thank you for posting! Those are some creepy photos. Malls don’t get much deader than that. This mall brings back lots of fun memories. I remember my mom taking me to Baskin Robins there as a child. Later, I remember being dropped off when I was around 14 and hanging out and then walking to the movies. Just now stumbled on this site. Thinking back, there was a deli right before you went into Roses. The name was Mr. ?. Can’t remember. Does anyone have a memory of this? Also, wasn’t Judy’s, owned by the Kurtz family, in the mall?